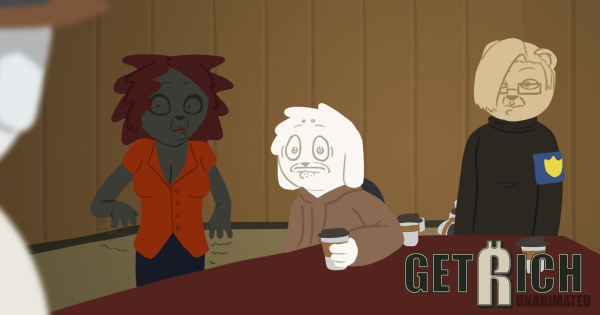 Support the creation of the Get Rich: Unanimated series. It takes a lot of work to juggle all the jobs that Gaian has in making the whole Get Rich Series. If you like the webcomic and want to assure its continued creation, toss him a couple bucks to let him know it matters to you.